they have flown the coop. i noticed the parents had stopped coming to feed the babies and i didn’t hear any more chirping. i’ve been expecting them to leave any time now so i peeked in our orange tree to see if they had left. yep. 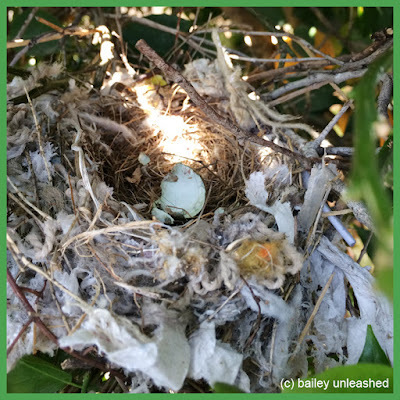 all i found was an empty nest. sorry i wasn’t here to bid you farewell, little birdies. stay safe out there. Labels: bailey, clover field, mockingbirds, nest, photo by j. 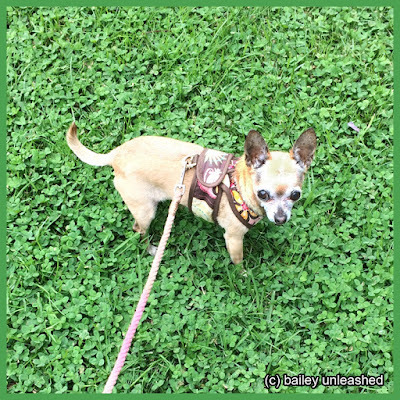 You look FABulous in that clover Bailey! Sad that they are gone so fast, ope they are safe.